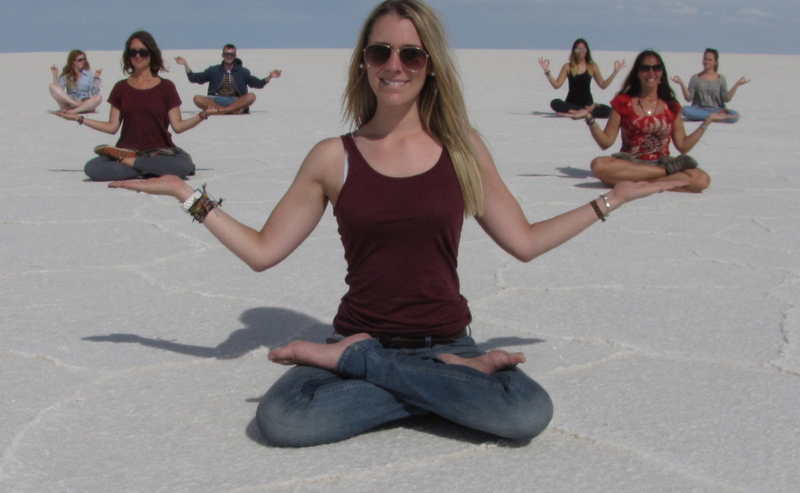 It’s all in how you look at it on the salt flat of Bolivia | Where to next? 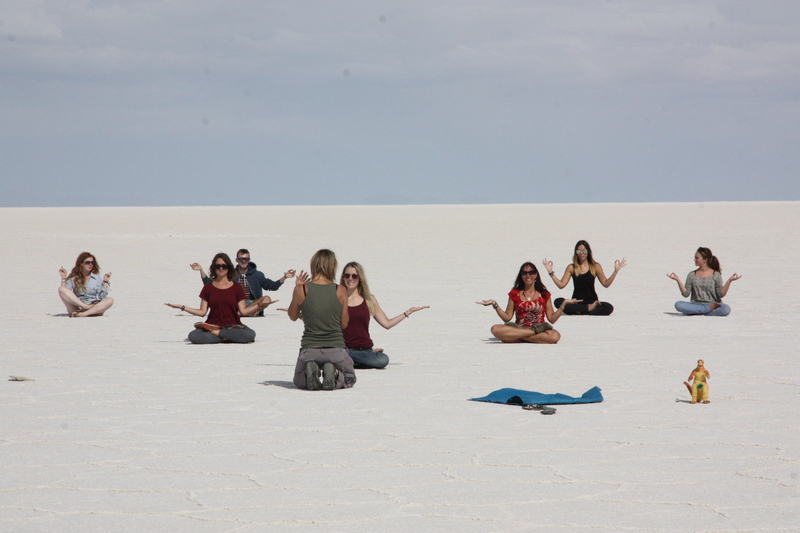 From the first mention of going to Bolivia’s Salar de Uyuni (salt flat), the young ones in our group began planning the props and shenanigans they’d get up to on the vast expanse of flat whiteness. Why all the fuss? What’s the big deal? I’d heard of the Bolivian salt flat, but I had not realised that in addition to its remarkable and expansive landscape, it was the perfect place to lose your perspective on how the world looks from different angles. Here’s your chance to jump out of a Christmas parcel, be poured out of a wine bottle or pop out of a Pringle’s can. You can fight a dragon and win, or dive into a leather hat. We spent hours on the flat, taking shots with clever positioning and an array of props borrowed from the truck and our hostel. The trick is to have one person or some item positioned close to the camera, while the ‘small’ people stand farther—sometimes much farther—back. The person operating the camera needs to play around quite a bit so everything lines up properly. In our case, we had almost two dozen directors—shouting out move left, move back, move over, duck down, lean forward and many more instructions several hundred times. Colin and Sammy, our driver and tour leader, were the chief consultants and photographers as they have stopped at the flat many times in the past. Although everyone got in the act, and it’s hard to say who took which pictures here, so many thanks to all who contributed. I’ve shared a few of our most impressive photographic efforts here. You can also see some of the fun when the girls were being frisky on the salt flat or when Hippy shared some of his holiday adventures. ← How about some prickles with your salt? WOW Love this! TRUE! Have recently purchased my first DSLR (EOS Canon 600D) and can’t wait to figure out all the interesting things like this to do! Well done and VERY creative JUST like YOU! 🙂 WHOO HOO! Thanks Joanne. I wish I could claim the creativity, but it really was the work of Sammy and Colin. Good luck with your camera—it’s a great one. Peggy, that looks like the most excellent fun! And it’s so creative too. I like all of them but especially Hippy and the yoga women supporting each other. It’s amazing what you can do with a camera when you actually have a clue. Well done to everyone involved. Thanks Louise. We had a lot of fun with our silliness. Thanks for finding it special. The salt flats are the only place I’ve been where the perspective photos work so wonderfully well.